This has been a difficult week. 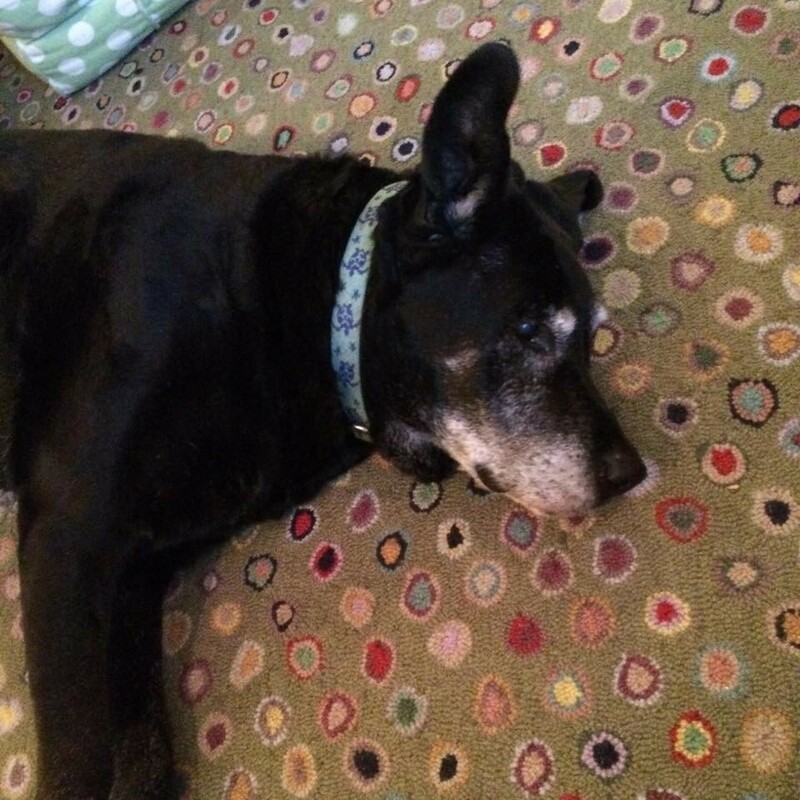 We had to say goodbye to our beloved, sweet lab Homer this week and I have been crying for days. 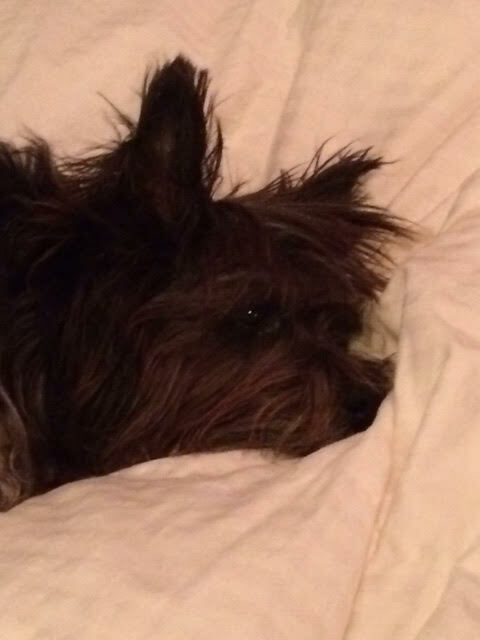 Saying goodbye to a pet is never easy. Saying goodbye now that we have our own children made it all that much harder. Homer joined our family a year before our daughter was born. We already had a one year old Cairn Terrier, Lucy but were missing having a lab in our life. 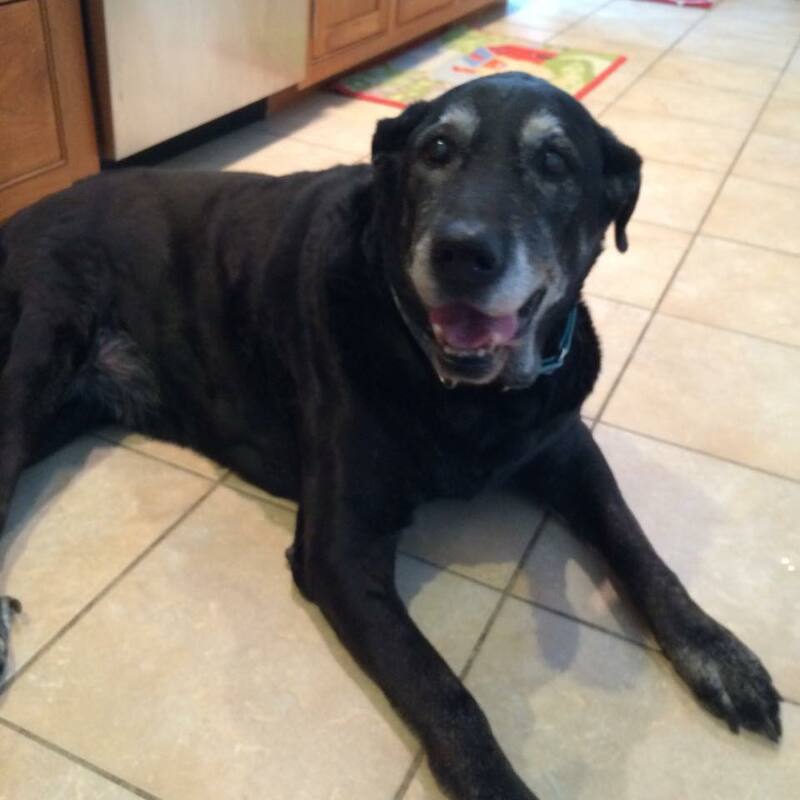 One day our friend, a vet heard about a lab in need of a home. We jumped at the chance to go and meet him and immediately feel in love. He snuggled up as soon as he met us. 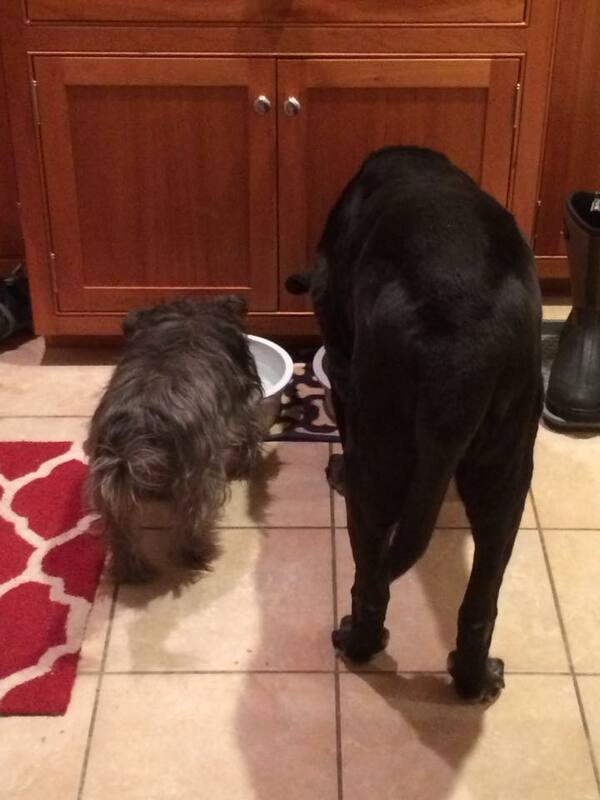 A black lab the size of a small pony, Homer was full of the biggest love. He thought he was a lap dog and even at 110 pounds would often try to climb into your lap.Homer was with us through the birth of our two children and has always been by my side whether it be sitting writing this blog at my computer or cooking up a meal for our family in the kitchen. He was also the best “nurse” when you were sick and would be right by your side ready to rest his head on your knee. The kids showered him with love and hugs and often dressed him in costumes which he never seemed to mind. We always loved how he looked as though he was smiling and how even as he grew older he still loved to bounce as he ran in the yard. My heart is heavy and I know it will take time to feel better but I take comfort in knowing that we gave him a long happy second chance at life. 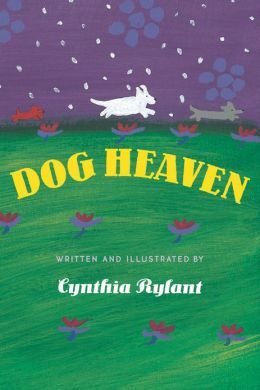 We read our kids the book Dog Heaven by Cynthia Rylant (given to us when our first lab Riley left us) as a way to talk about why Homer had to say goodbye. Our kids take comfort in knowing Homer is with the angel dogs and our four year old said he is using his flying ears to help him to fly up where the beds are made of clouds and the angel kids will play ball with him. You will be forever missed Mr. Homer, Homer Max, Homey Gomes. We love you Homer. May you now be at peace and finding comfort as an angel dog. Fly Homer, Fly. Our flying ear dog. And . . . after he said goodbye, Lucy showed me her flying ear for the first time. Her ears are usually floppy. . . its as if she was trying to tell me he is ok now. Lucy misses Homer and we do too. Aw, I’m so very sorry! We went through this almost two years ago with our 14-yr. old whippet. It was crushing and to this day I miss him. Sending you hugs and hoping your memories of him will be a comfort.